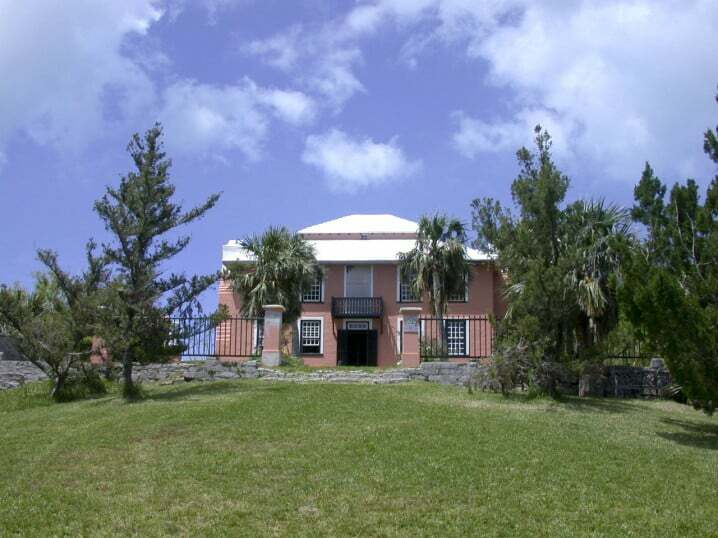 Built circa 1710, the Verdmont Museum is the flagship of all the properties owned by the Bermuda National Trust. The Georgian-style house, with its 4 chimneys, was a private residence until it was sold to the trust in 1951. Its previous owners never had electricity or any other modern amenities installed, hence the house remains architecturally unchanged since its construction. In 2001 the Society of American Travel Writers awarded the Trust its prestigious Phoenix Award in recognition of their restoration work here. The Verdmont Museum is a treasure trove of antique cedar and mahogany furniture. There is a fine collection of English and Chinese porcelain on display, portraits of former residents, a 19th century wedding dress, and a children’s playroom complete with original furniture and toys. It also boasts the finest cedar staircase in Bermuda. The house is set in pleasant gardens which offer panoramic hillside views of the ocean. The flowers and shrubs found here are typical of those grown in 18th century Bermuda. The origins of the house and its funding are particularly interesting. In 1693 Rhode Islander Captain Thomas Tew and Bermudian Captain George Dew (see the Old Rectory) were commissioned by Governor Isaac Richier to attack French interests in West Africa. Tew captained the Amity while Dew took charge of the Amy. When Dew’s ship ran into difficulty, the original mission was abandoned. Tew’s thoughts turned to piracy and he set sale for the Indian Ocean. After several weeks of searching for a target, a merchant convoy owned by the Great Mogul of India was spotted in the strait of Bab-el-Mandeb. Tew’s heavily armed crew easily overpowered the Indian crew and made off with a substantial booty of gold, silver, ivory, and other valuables. Most of the shareholders in Amity were Bermudians. Henry Fyfield, husband of Elizabeth Dickinson was one of them. After Henry died, Elizabeth inherited his share of the plunder. She later married John Dickinson and the newlyweds used the money to build Verdmont. Entrance to Verdmont costs $5 for adults and $2 for children (6 to 18). The Bermuda National Trust also offers a combination ticket for $10 which allows entrance to the Bermuda National Trust Museum, the Tucker House Museum and the Verdmont Museum. The property is situated on Sayle Road in Smith’s. The road is named after Captain William Sayle, a former Governor of Bermuda and the first Governor of Carolina (prior to its split into North and South Carolina). To reach Verdmont by public transport catch bus number 1 from the Central Terminal in Hamilton. The bus stops outside the entrance to the property. 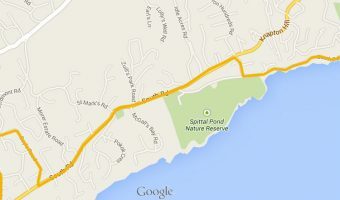 Other places to visit on this route include the beautiful Crystal Caves, the beach at John Smith’s Bay, the private gardens of the Gibbons family, the Spittal Pond Nature Reserve, plus all the attractions in the town of St George. You could really make a day of it. Verdmont is one of several properties owned by the Bermuda National Trust that can be hired for special events such as weddings. Map showing location of Verdmont Museum. We have visited Verdmont a few times by scooter but recently travelled there by bus. The driver stopped right across the street and it is a lovely walk. On each visit we discover something new. Part of the charm of Bermuda. Actually it is right across from a bus stop and up a drive. But well worth the visit. A lovely garden, view of the island as well as the antiques and the well kept interior. This is a lovely place to visit, and, is on a bus route. The No1, if I remember correctly and the driver advised me which stop to get off. Well worth the effort, I especially liked the the wedding dress and the incredible story that goes with it. Pay a visit, it is a delight. We visited Verdmont last year and we were the only people there. Very quiet. Just us and the curator. The house is very lovely and full of beautiful antiques. You’ll need a scooter to get there as it’s not really near anything else (including bus stops).